Everyone has to eat, and fortunately (or unfortunately) Southerners are known to enjoy this aspect of life more than anyone. 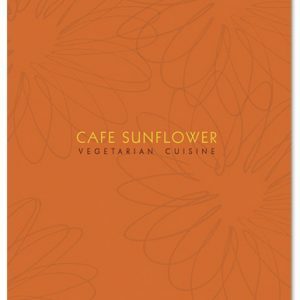 Enter Cafe Sunflower. With a menu comprised of the most delicious vegetarian cuisine this side of the Mason Dixon, owners Edward and Lin Sun and Amy Head have given Atlanta a healthy alternative. Located in the heart of Buckhead, this “southwestern-style vegi-cafe” showcases dishes from the Caribbean, Asia, and the Mediterranean. Entrees like Roasted Vegetable Pavé and Bombay Curry prove that detailed attention is given to style as well as taste. Cost-friendly, the experience of dining at this charming restaurant is not only good for your body, but for your pocketbook as well. 2140 Peachtree Road, 404-352-8859 and 5975 Roswell Road, 404-256-1675.